Availability of nutrients like minerals ions are very limited in the soil. The plant growth depends on these soil nutrients only. So enriching the soil with more nutrients would definitely induce the growth of plants. Improving the growth of plant and production of more grains and increasing the yield are the key factors of intensive farming. 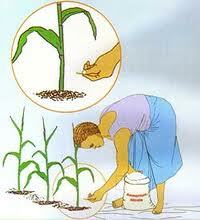 Fertilizers play a key role in the farming and agriculture benefited from fertilizer application. The soluble inorganic fertilizers include nitrate, phosphate and potassium ions (NPK). These are the most commonly used fertilizers. 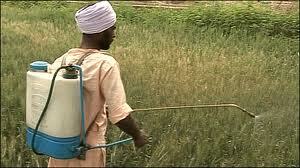 Inorganic Fertilizers are very effective and provide huge amount of growth and yield. They are made up of chemicals. Inorganic fertilizers are very expensive. Even though they are very effective but have some undesirable effects on the environment too. The nitrate and ammonium ions present in the inorganic fertilizer are very soluble. They cannot remain in the soil for long period and they are quickly leached out. This washed out chemicals ending up in nearby rivers and lakes and cause eutrophication. Organic fertilizers are made up of natural decaying matter like dead plants, dead animals, decaying vegetables, decaying fruits and other plant parts, cow dung, etc. They are totally harmless and provide good nutrients to the plants and the plant growth and yield shows moderate increase. They are very cheap. Using organic fertilizers is an alternative solution. Less harm is caused to the environment because of this. Animal manure, composted vegetable matter, crop residues, and sewage sludge are the examples for this. Inorganic compounds have urea, cellulose and lipids. These are not useful for plants because plant root won’t take these organic materials in the soil and the roots can only make us of inorganic mineral ions. They are nitrate, phosphate and potassium. Microorganism such as fungi and bacteria and animals digests the organic compounds of soil. • Leaching is prevented because the inorganic minerals are released more slowly as they are decomposed. • It binds soil particles together and provides food for soil organisms such as earthworms. • Drainage and aeration can be improved. • Bulky and less concentrated in minerals and need to be spread on a filed to have a similar effect. • They are very smelly. • Create some disease to animals and humans who feed on these plant products. Want to know more details about fertilizers? Click here to schedule a live help with an eTutor!